As big and grand as it gets! We can arrange private travel from practically any starting point to any destination in the United States or International. 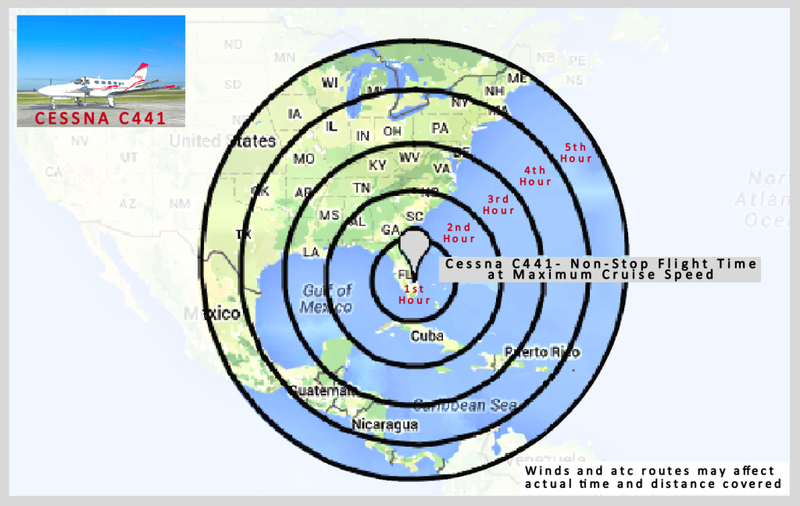 *The below range map is an example of the range of the Cessna Conquest II. We are also able to find and shop for other aircraft to meet the needs and requirements of our guests. 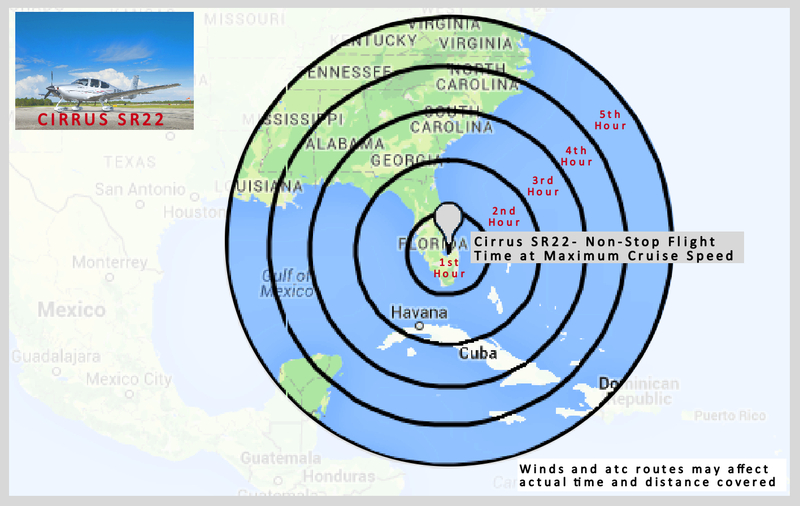 *The below range map is an example of the range of the Cirrus SR22. We are also able to find and shop for other aircraft to meet the needs and requirements of our guests.